If you have a heart shaped cookie cutter than you have all of the tools you need to create these dog gone cute valentine cookies. They are a fun Valentine's Day activity for your kids and a super cute valentine for your preschool aged children. 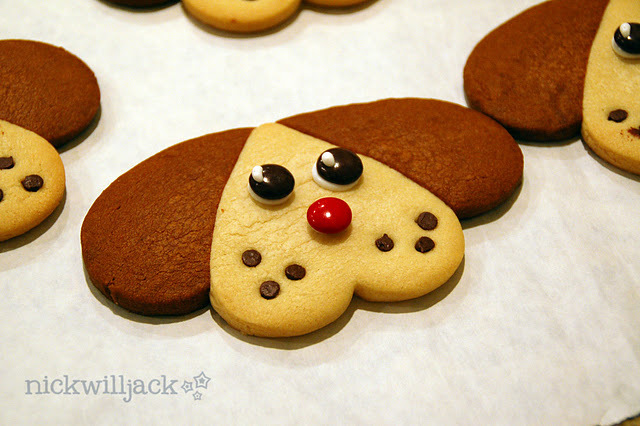 You can read more about these cute dog valentine cookies over at NickWillJack. Happy Weekend Lorie. These are so adorable. And so easy! Thanks for sharing.